The drawings are crappy and so is the coloring. It'll probably be like this since I don't really care much about details. Yeah, I hate details too. My comic has lousy drawing, lousy colour and a lousy story, but other than that, it's pretty good! 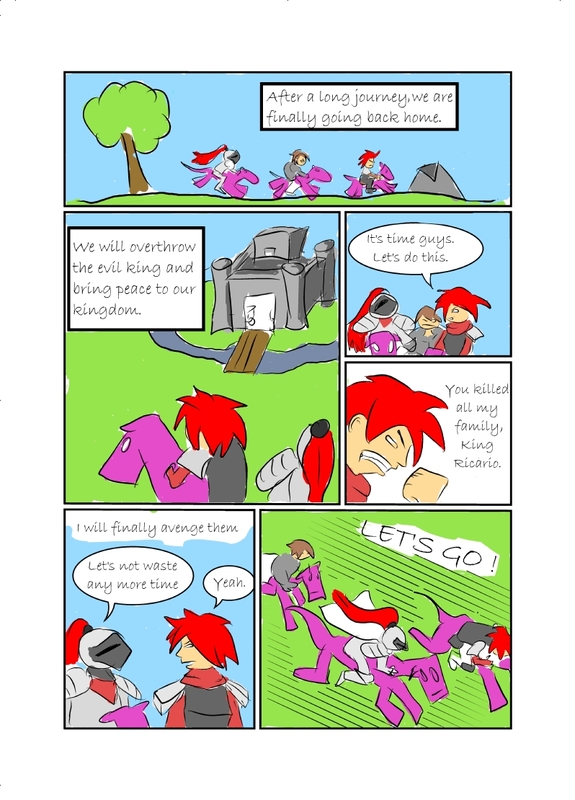 I like those blocky horses in the first panel.